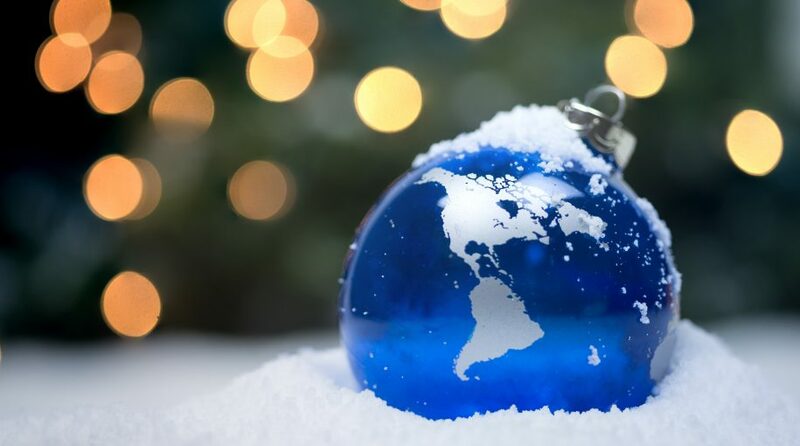 Countries around the world are flush with their respective holiday décor as Christmas is two weeks away, but as volatility continues to shake the U.S. stock market, certain investors are singing, “Joy to the World” with international exposure via developed market exchange-traded funds (ETFs). The U.S.-China trade wars have gotten the best of international markets, emerging and developed, for the majority of 2018, but lately, news outlets have been drizzling the capital markets with positive news on trade talks between the two economic superpowers progressing in the right direction. The markets got a much-needed boost Tuesday on renewed optimism that a permanent trade deal between the United States and China was progressing based on a Bloomberg report that China would slash the current 15 percent tariff on cars to 40 percent. Additionally, the White House is delaying a second round of payments on a $12 million package that benefits farmers negatively affected by the tariff-for-tariff battle between the U.S. and China on the hope that a trade deal will materialize soon. Of course, all of this was capped off with a tweet from U.S. President Donald Trump gushing over the progress of negotiations with China and that “important announcements” were forthcoming. The stream of positive news is certainly welcome by international ETFs that focus their funds on developed markets–a value proposition for investors who are looking for bargains, as well as diversification option. As such, here are five that could continue reaping the rewards of U.S.-China trade talks progressing in the right direction. VEA seeks to track the performance of the FTSE Developed All Cap ex US Index. The fund employs an indexing investment approach designed to track the performance of the FTSE Developed All Cap ex US Index, a market-capitalization-weighted index that is made up of approximately 3,790 common stocks of large-, mid-, and small-cap companies located in Canada and the major markets of Europe and the Pacific region. EFA seeks to track the investment results of the MSCI EAFE Index, which is composed of large- and mid-capitalization developed market equities, excluding the U.S. and Canada. The fund generally invests at least 90% of its assets in securities of the underlying index and in depositary receipts representing securities of the underlying index, which measures the equity market performance of developed markets outside of the U.S. and Canada. IEFA seeks to track the investment results of the MSCI EAFE IMI Index composed of large-, mid- and small-capitalization developed market equities, except the U.S. and Canada. The fund generally will invest at least 90% of its assets in the component securities of the underlying index and in investments that have economic characteristics that are substantially identical to the component securities of the underlying index, which is designed to measure large-, mid- and small-capitalization equity market performance and includes stocks from Europe, Australasia and the Far East. VEU seeks to track the performance of a benchmark index that measures the investment return of stocks of companies located in developed and emerging markets outside of the United States. The fund employs an indexing investment approach designed to track the performance of the FTSE All-World ex US Index, a float-adjusted, market-capitalization-weighted index designed to measure equity market performance of international markets, excluding the United States. The index included 2,539 stocks of companies located in 46 countries, including both developed and emerging markets. SCHF seeks to track the total return of the FTSE Developed ex US Index, which is comprised of large and mid capitalization companies in developed countries outside the United States, as defined by the index provider. The index defines the large and mid capitalization universe as approximately the top 90% of the eligible universe. For more market trends, click here.